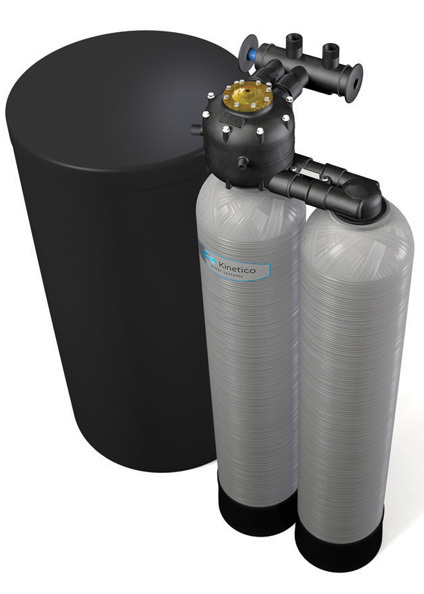 Signature Series™ – Commonwealth Water Treatment, Inc.
Kinetico Signature Series water softeners are modeled after our original twin tank, non-electric water softeners that have been solving the water problems of millions of people worldwide for decades. Powered by water flow (kinetic energy) instead of electricity, you can count on Signature Series water softeners to solve your hard water and iron problems without creating new ones. They’re reliable, economical and the perfect fit in many homes. The beauty of a Signature Series water softener is its ability to monitor your water use and regenerate (clean) only when needed. If you use a lot of water, your water softener will regenerate more, or it may not regenerate for several days if water usage is low. This efficient approach saves salt, water, money and guesswork. Once your system is installed, you don’t have to give your system another thought. There’s no need to worry when your system goes into regeneration. The twin-tank design provides a continuous supply of soft water, even during the regeneration process. One tank is always in service while the other tank is either on standby or regenerating. And thanks to the twin tank design, Signature Series water softeners regenerate using soft water – something single tank systems simply can’t do. With soft water regeneration, your system will work better and last longer. Hard water is no match for Signature Series water softeners. Rest assured that the system will provide you with soft, iron-free water for years to come. And we back up that promise with an extensive and comprehensive warranty. Talk with the professionals at Commonwealth Water Treatment and find out if a Signature Series system is the right choice for your home.